Roof Cars Systems – Summit Anchor Co. Roof cars are individually designed around unique building features to access the exterior (and, in some cases, the interior) of a building. Powered equipment should be the first consideration for use on new buildings over 300 feet in height. This is because rope descents systems are restricted by OSHA at heights greater than 300 feet above grade. On some structures, use of a roof car system can reduce rigging time in the building maintenance cycle; therefore, building height is not the only factor to consider when choosing the best exterior facade maintenance system for a building. 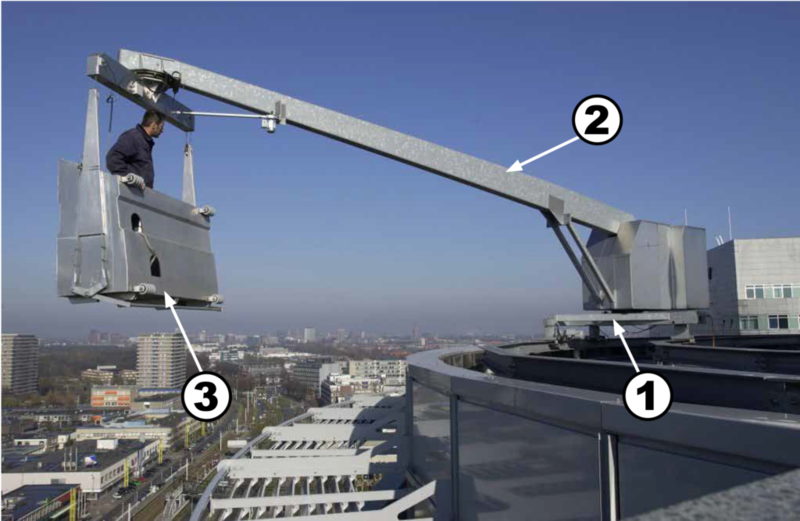 However, above 490 feet, a roof car is essentially required, as the hoist motors for the powered platform must be located on the roof, as shown in this photo. What is required of the building owner after the installation is complete?